AlterVerse Adopts the Enjin Blockchain Platform – AlterVerse Inc.
AlterVerse Adopts the Enjin Blockchain Platform! AlterVerse and Enjin will work together to bring blockchain-powered assets to all 17 of AlterVerse’s gaming worlds. 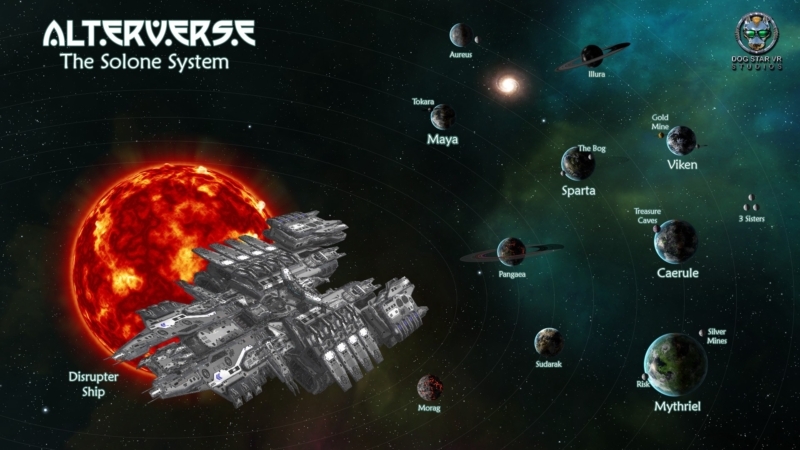 AlterVerse, a gaming and world-building universe, where users can play and create an infinite number of interconnected games and worlds has joined Enjin’s Early Adopter Program and the Enjin Multiverse. As a result, AlterVerse Inc. will gain access to Enjin’s blockchain development tools, which are now in closed beta, enabling them to integrate blockchain technology into their games using pre-made, security audited smart contracts authored by the team that created the ERC-1155 standard. AlterVerse will also be integrating the entire catalogue of Enjin Multiverse Items into their games. As of today, 29 games have announced adoption of Enjin’s tools to integrate this exclusive set of shared items and assets. Players will be able to move between gaming worlds, using their multiverse items everywhere they go. The form and function of the items will be determined by the game they are in, which means the items may appear differently and provide diverse abilities in every game. However, the items’ identity, history, scarcity, provenance, and ownership will be stored forever on the blockchain. Enjin Network already has 20 million users, which is no surprise seeing as it’s partnered with industry giants like PC Gamer and Unity. Enjin hosts Minecraft servers on the blockchain along with many other games — next stop, Disruption! 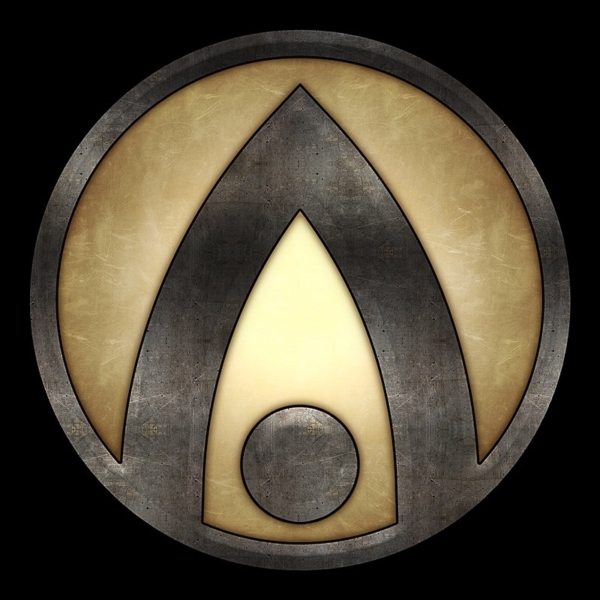 The AlterVerse has a massive list of features already completed including; VR compatibility, In-game Voice chat, Customizable avatars, Robust combat systems, Ranks & Stats systems, multiple weapons types, Affiliate program, Hunting & Fishing, Rideable Mounts, Alliance/Team System, Interactive, Talking NPC’s, Decentralized Server Architecture and more. The debut AlterVerse release, a first-person Adventure RPG called ‘Disruption’, will be available to 125 million Steam users in first quarter of 2019. Disruption is set on a fleet of Disrupter Battleships that can disrupt the very fabric of space and time to enter the AlterVerse. Disruption will feature four game modes, including Solo Raids, Alliance Raids, Adventure Quests, and Battle Royale. Players will be able to log on and play in multiplayer environments or purchase their own servers, which will enable them to customize their ship and invite paying players to try to raid their ship’s treasury. Currently, players can customize any Disrupter Battleship they own by selecting from pre-existing textures that alter the ship’s floors, ceilings, walls, skybox, hull, and each of the 32 crew rooms, allowing them to create a personalized look and feel for all their residents. Once AlterVerse Inc. releases their ‘world editors’, server owners will be able to rebuild the structures of their ships to create completely different experiences for their players. Disruption is the first of 17 prototyped gaming worlds. 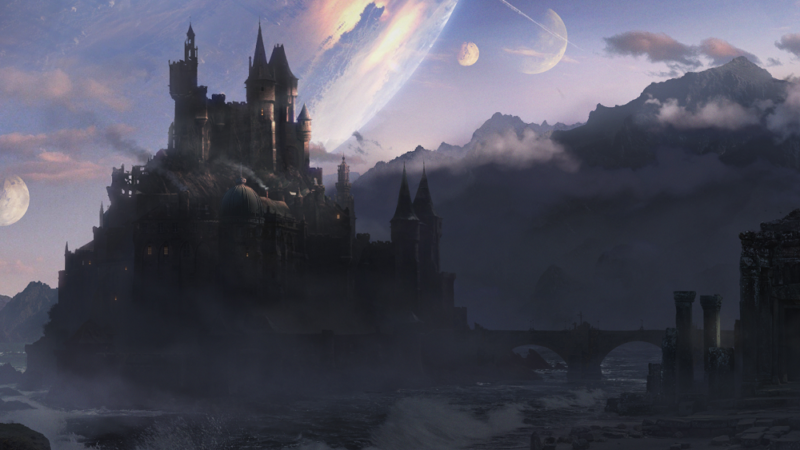 The game mechanics, customization options, world editors, and server-owner monetization models are core functions of each of AlterVerse’s planned releases. Each of the 17 gaming worlds AlterVerse Inc. releases will act as a template that can be used in player-owned servers and customized freely. The innovative studio will also provide characters, skins, weapons, accessories, pets, and vehicles that will be usable throughout the multiple servers, which means players will be able to take parts of their inventory with them as they travel through parallel worlds. Read about our Roadmap below. AlterVerse Inc.’s second offering, Sky City, is scheduled for release in Q2 of 2019. Sky City will be free-to-play and can be described as a digital hub for entertainment and commerce, where players can go to escape the real world to socialize with friends, race Violators around the track, fly around in Sky Cars and learn about and buy the upcoming games as they’re released. Like Disruption, Sky City servers will also be available for server owners to purchase and monetize. Following the release of Sky City, there will be five Home World servers released with various themes. Server operators can purchase and fully customize their own versions of each Home World to create individual gaming experiences each of which can be compared to a player-owned version of Decentraland, a cryptocurrency project that famously raised $24 million in 35 seconds during their successful ICO. AlterVerse will enable server operators with no design and development experience to re-create their version of each Home World to suit their own vision. Server operators can use independently hosted servers to maintain full control over their gaming worlds, taking decentralization to a whole new level. Server operators will be able to monetize entry into their servers as well as sell or rent parcels of land and other assets. Several more games, called Adventure Quests which can be described as off-world excursions, will be released soon after the Home Worlds. Server operators or Hosts will be able to run and monetize these adventures that feature Gold and Silver mines, Treasure caves, Dinosaur and Big Game hunting expeditions and so on. Players will be able to play the timed quests to win tokens, status, and rank. 3D designers or Creators can also create characters, pets, vehicles, accessories, and buildings which they can integrate into their own servers or sell on the Creator’s Market. Other server operators will buy the designs, integrate them into their servers, and potentially monetize ownership of those assets. All of these game assets can be used in the other 16 gaming worlds AlterVerse Inc. has created so far. AlterVerse will utilize Enjin’s blockchain development tools to integrate blockchain-based identification of characters, items, assets, land, and servers that players can create, own and trade. All of AlterVerse’s blockchain items will be ERC-1155 tokens powered by the Ethereum Network. These assets will be value backed by Enjin Coin and players will be able to protect, manage, and melt their own items to retrieve the embedded Enjin Coin by using the Enjin Wallet. Players will also be able to browse and verify all AlterVerse’s ERC-1155 assets and transaction using Enjin’s upcoming blockchain explorer, EnjinX. Next, the news you’ve been waiting for! To show our appreciation for your support, we’d like to give you a FREE AlterVerse Founder’s Token! The Founder’s Token will grant you multiple rewards in the future just by owning it. These rewards will be able to be used within all of the games in the AlterVerse. Just join our Telegram group and fill out the simple form linked in the pinned message to receive the free Founder’s Token. Only the first 1000 people to sign up will receive the free Token! No more will ever be minted! Join our Discord server at the same time and we’ll tag you as one of the AlterVerse Founders! You can learn more about AlterVerse and AlterVerse: Disruption by visiting the AlterVerse website or following us on Twitter, Facebook, Telegram, Discord, or join our brand new Reddit community. Add AlterVerse to your Steam wish list here! Join us in the AlterVerse!